Born and raised in Dalton, David Pennington III comes from an insurance family. His grandfather started the Pennington Insurance Agency in Downtown Dalton in 1937. 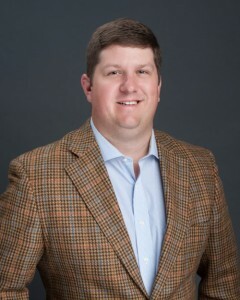 He is the third David Pennington to operate as an independent agent in Dalton. He is a graduate of Dalton High School, Dalton Junior College, and the University of Georgia with a BA in Economics. He began his insurance career after college with Metropolitan Life before moving to Liberty Mutual. In 1984, he took a position as a manager and producer at Pruden & Brooks Insurance in Dalton. While at Pruden, he started Pruden Risk Management, Renaissance Mutual, and CompFirst. He also was a partner in the brokerage Risk Innovations. He sold his stake in Pruden in 2001 and started Advanced Insurance Strategies with his partner, Brian Peters, in 2003. He continues at this time as a managing partner here at AIS. David is extremely active in the community. He has served as the Mayor of Dalton since January 2008. He is a member and past president of the Dalton Rotary Club, where he is a Paul Harris and Will Watt Fellow. He is a board member and founding member of the Northwest Georgia Healthcare Partnership. He is a past board member of Hamilton Medical Center. He is a member and past president of the Dalton Education Foundation. He is a Dalton State College trustee. He is the former chairmen of the Dalton-Whitfield Chamber of Commerce. He is a past director for Hardwick Bank and Trust Company. He is a past director and president of Habitat for Humanity. He is also a director for GEEARS, a statewide board for promoting early childhood education. He and his wife Pam live in Dalton and have two grown children. Brian Peters is a Managing Director with Advanced Insurance Strategies. He co-founded Advanced Insurance Strategies in 2001. He is an active member of the community and serves on the Greater Dalton Whitfield Chamber’s Legislative Action Committee, Ambassador and Diplomats Program. He also serves on the Dalton Boys and Girls’ Club Day for Kids planning committee and in a graduate of the Leadership Dalton class of 2002. Brian graduated from the University of Georgia in 1994 with a Bachelors Degree in Risk Management & Insurance. He has a background in Workers’ Compensation claims and has been in the insurance industry for 20 years. Brian is married and has 3 children. In addition to spending time with his family, he enjoys fitness activities which include running and cycling. Brian specializes in benefits programs as well as commercial and personal lines insurance. David is the 4th David Pennington to work as an independent agent in Dalton. Because of this, he has deep ties to this community and looks forward to help take that legacy past the century mark. He is here to help you with all your insurance needs and specializes in commercial transportation and the hospitality industry. David comes from a background of being a litigation specialist with the American International Group. He has handled all types of exposures with a focus in commercial exposures including commercial liability and commercial property. While at AIG, David served on many committees and boards including the Domestic Claims Customer Service Team, the Structured Settlements Advisory Board, and the Zonal Claims Marketing Team. He was awarded multiple distinctions and honors while there including being named a Customer Service Champion and a multiple time winner of the Values in Action award. 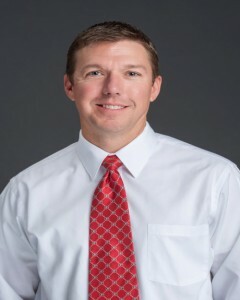 He is a member of the Friendship House Board of Directors, Current President of the Big Brothers Big Sisters of Northwest Georgia Mountains Board of Directors, Dalton Whitfield Chamber of Commerce Diplomats, Past President of the Carpet City Rotary Club, and the Dalton State Foundation Board of Trustees. He also spends time volunteering for both the local and state Special Olympics. He was a 2013 graduate of the Emerging Leaders Institute and is a 2014 graduate of Leadership Dalton-Whitfield. David also serves as an Assistant Coach of the Varsity Lacrosse team at Dalton High School. David is a lifelong resident of Dalton. David graduated from Dalton State College with an Associate Degree in Economics before receiving his Bachelor of Arts Degree in History from Georgia College & State University. Zac comes to the insurance world with a wealth of information and experience in the real estate and property management industry. He is a licensed real estate agent in the State of Georgia as well as holding his property and casualty insurance license. Prior to entering the insurance business, Zac was a million-dollar seller in the real estate industry and managed multimillion-dollar property schedules when working in the property management business. Zac is an engaged member of the Greater Dalton Chamber of Commerce where he serves as a Chamber Diplomat. 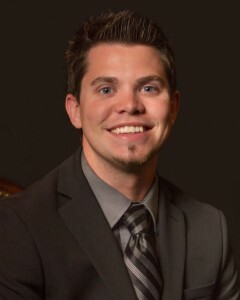 Zac is a lifelong resident of Whitfield County and graduated from Southeast Whitfield High School in 2010 and Dalton State College in 2018 with a Bachelor of Science degree in Business Management. Zac is married to Megan and they reside in Dalton where they will welcome their first child in October. Zac and Megan are active members at Tunnel Hill First Baptist Church.